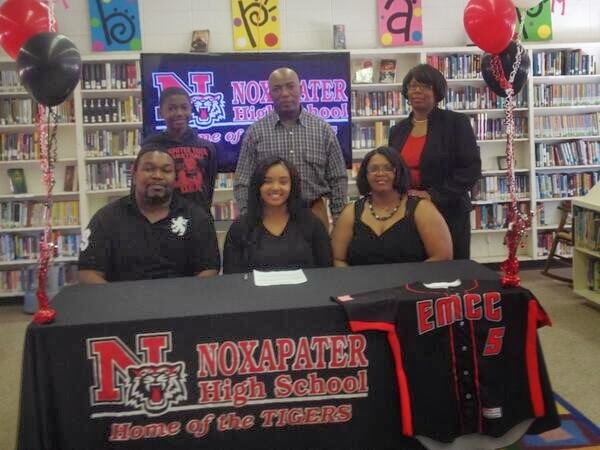 The Noxapater Attendance Center just announced that Senior Breanna Glass signed a letter of intent with the EMCC Lion softball team. The Winston County Sheriff's Office recently received almost $30,000 in grant funds for improved equipment for DUI enforcement. Chief Deputy Keith Alexander indicated that the Alcohol Impaired Driving DUI Enforcement Grant through the Mississippi Department of Public Safety can be used for local DUI enforcement over a period of time. Locals and some from outside the community took advantage of an Administrative Clerical Training Workshop on Thursday offered by Thomas Leadership Consultants (TLC) of Louisville. The workshop was held at Lake Tiak O'Khata and is just one of many such training sessions offered by TLC in the area and across the state. Standing- Shelley Thomas of TLC with workshop attendees. Sophomore Lindsey McCool and math instructor Robin Fulton, both of Louisville, were recently selected to represent East Central Community College in Decatur at the 2013-14 Higher Education Appreciation Day: Working for Academic Excellence (HEADWAE) program scheduled Tuesday, Feb. 18 in Jackson. The annual HEADWAE observance was established by the Mississippi Legislature to honor the academically talented students and faculty members from each of the 36 public and private member institutions of the Mississippi Association of Colleges. Honorees are invited to the State Capitol where they are welcomed by Lt. Gov. Tate Reeves and recognized in each Legislative chamber. A luncheon is scheduled at the Jackson Marriott Hotel in downtown Jackson, during which each student and faculty honoree is recognized in front of their guests, institution leaders, corporate sponsors and legislators. In addition to the public recognition, a booklet will be published featuring photos and biographical sketches of each honoree. Are you a local artist or is there a young person in your family that enjoys painting and design work? If so, the Winston County Chamber of Commerce/Main Street Association has a project for you and maybe even a prize. The Chamber of Commerce/Main Street is soliciting artwork that will be printed on the Red Hills Festival t-shirts as well as the posters and other printed material. 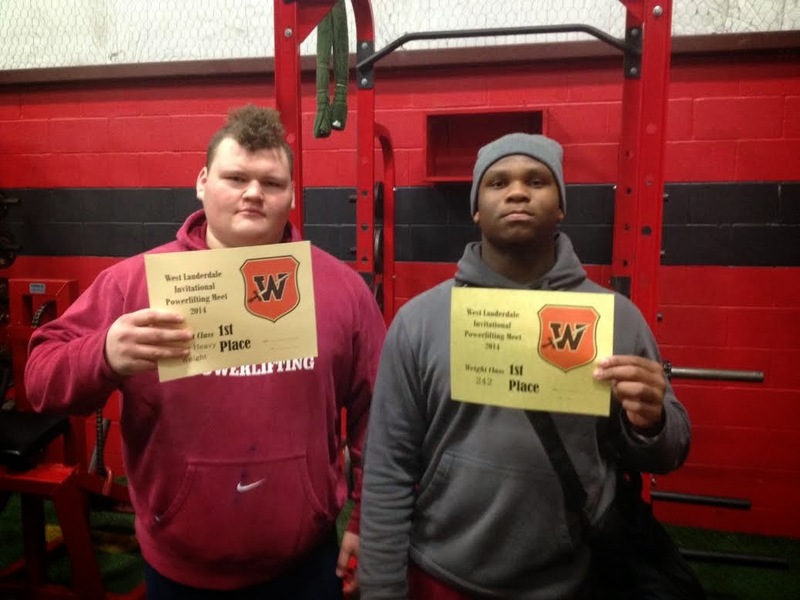 John McAdory and Kylan Harris of the Louisville High Powerlifting Team won their weight classes on Saturday, January 27 at the West Lauderdale meet. 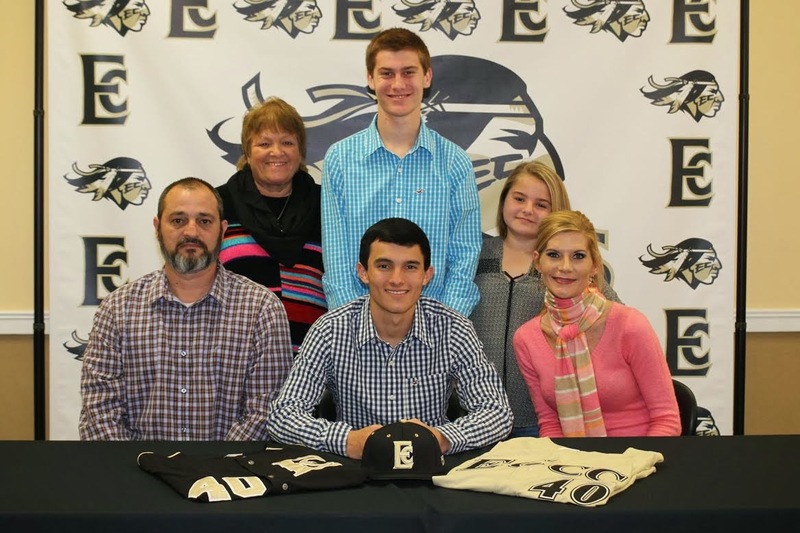 Louisville High School baseball standout Channing Wall (seated center) recently signed a national letter of intent to continue his career in 2014-15 at East Central Community College in Decatur. Wall, a 5-11, 160-pound right-handed pitcher, played his junior season in 2013 at Winston Academy, where he received All-Conference honors and was chosen team most valuable player. 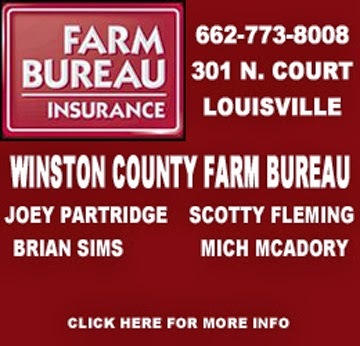 He received the best pitcher award in 2011 while attending Louisville High School. Wall owns a 1.0 earned run average and is credited with a perfect game and a no-hitter. Pictured with the new Diamond Warrior are (seated from left) his father, Nick Wall and step-mom, Amanda Wall; and (standing from left) his grandmother, Vickie Turner; brother, Carter Jones; and sister, Logan Wall. Not pictured is the signee’s mother, Beth Wall. 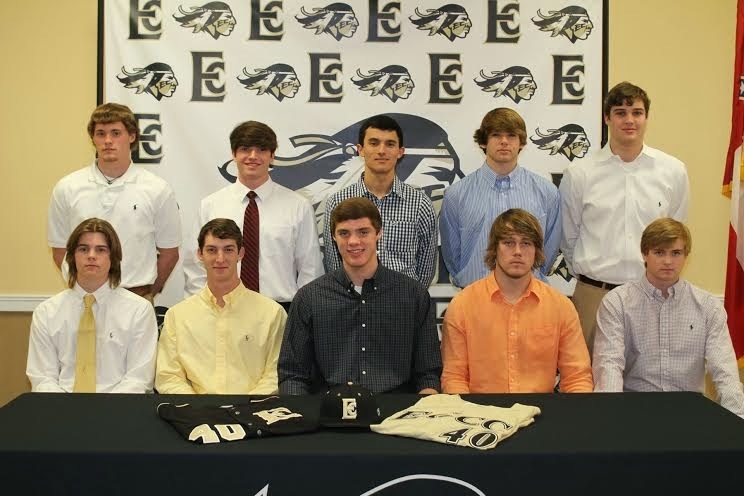 The ECCC baseball program is led by head coach Neal Holliman and assistants Scott DeLoach and Ronald Sims. Our area is under a WinterWind Chill Advisory effective tonight from 9:00 pm through noon on Tuesday. Temps are expected in the mid-teens overnight. Low temperatures combined with brisk northerly winds will produce wind chill effects in the single digits. Clouds will return overnight but little to no precipitation is expected in our area. 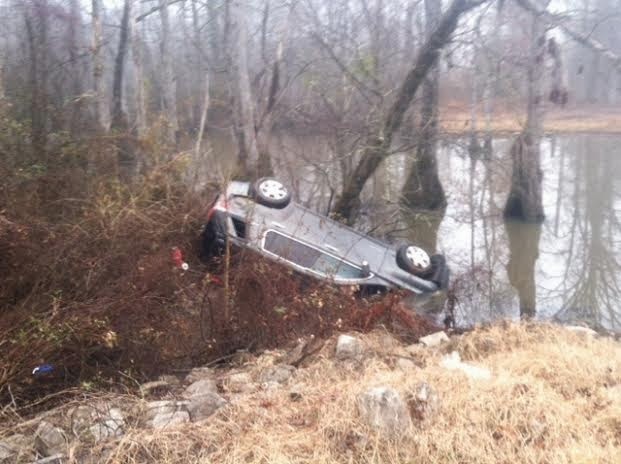 In an unusual weather twist, areas in South Mississippi are bracing for snow and ice. Most precipitation is expected to remain south of I-20. Some areas could expect up to 4 inches of snow and a heavy sheet of ice is predicted for the Gulf Coast region. More information from Mississippi Emergency Management is available by clicking here. "Our Hearts Are All A Flutter About Nutrition And Exercise"
MISSISSIPPI STATE -- Nothing teaches more about how government works than actually working in government, which four Mississippi 4-H youth will have the opportunity to do. The 2014 Lt. Gov. Tate Reeves 4-H Senate Page Program is seeking qualified young people to serve one week in the Mississippi Senate. Chosen students will serve as pages March 31 to April 4, supporting the work of the senators. These high school baseball standouts recently signed national letters of intent to continue their careers in 2014-15 at East Central Community College in Decatur. Instruction in "Keyboarding" is being offered at East Central Community College's Career Advancement Center located in the old Spartus facility at 921 South Church Street in Louisville. The Mississippi Development Authority has received funding from the U. S. Department of Housing and Urban Development to expand the supply of decent, safe, sanitary and affordable housing. Under this HOME program, the State has set aside approximately $4 million dollars for Homeowner Rehabilitation/Reconstruction. These funds are made available to local units of government throughout the State on a competitive application basis. The City of Louisville has decided to apply for these grant funds, provided eligible households can be identified for the grant. A large number of paticipants enjoyed the sunshine on Saturday morning as Louisville's Martin Luther King Parade was held. The parade route was slightly different this year as floats, vehicles and marchers left from Armstrong Street to South Church to Main and down South Columbus. A slideshow of photos from the parde was previously posted on WWN - Scroll down the page. A former Louisville Wildcat recently signed a full scholarship with the Central Arkansas Bears. Jordan Fleming, a 2011 graduate of Louisville spent the 2013 season as a long snapper/athlete with the Holmes Community College Bulldogs. The agenda for the Louisville Board of Aldermen meeting on Tuesday, January 21 is now available online at the city's website. To see the agenda - click here. The agenda for the Winston County Board of Supervisors meeting on Tuesday, January 21 is now available online at the county's website. To see the agenda - click here. 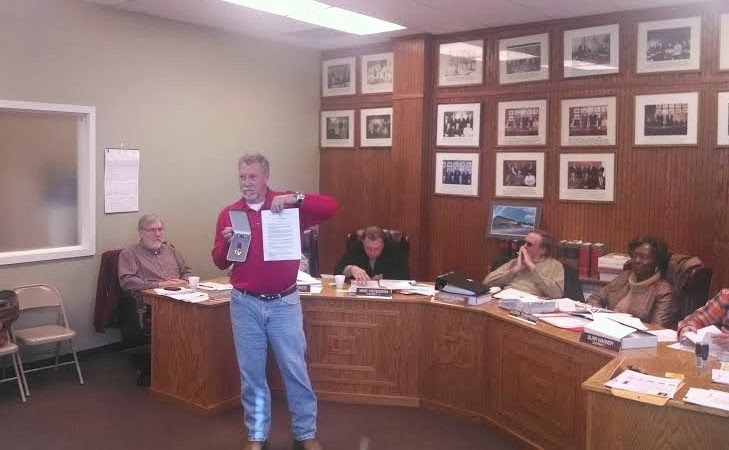 The Trustees of the Louisville Municipal School District met on January 14 in a regularly scheduled meeting. As the meeting began, a new board member, Sheila Hickman took the oath of office to fill the position of retiring school board member Claire Crowell. Jackson, Mississippi (January 16, 2014) – Public Service Commissioner Brandon Presley today announced the first round of filings in response to the Commission’s groundbreaking rules aimed at slashing monthly utility bills through reduced waste. The plans filed this week, called "Quick Start" plans, were required of each electric and natural gas utility serving more than 25,000 customers. As the name indicates, "Quick Start" plans were designed to be quickly implemented in order to help develop utility processes, infrastructure, contractor networks and training prior to the full roll out of waste reduction programs across the state. MISSISSIPPI STATE – Mississippi high school juniors considering medical careers in their home state have the opportunity to take part in an intense and enlightening summer program at Mississippi State University. The five-week Rural Medical Scholars summer program at MSU aims at identifying the state’s future primary care doctors and help them become members of the medical school class of 2023. Applications for the June 1 through July 7 program must be submitted by March 24. The Winston County Sheriff’s office is looking for the second of two stolen vehicles. On the morning of January 10, 2014, local 911 received a call from the 4000 block of Highway 393 near the Nanih Waiya Mound concerning the theft of a 2004 Dodge Intrepid from the property. MISSISSIPPI STATE – Graduate students across the Southeast studying natural resources sciences can share research and meet potential employers at an upcoming workshop. The fourth annual Southeastern Natural Resources Graduate Student Symposium is set for March 5-7 at the Mississippi State University College of Forest Resources. MISSISSIPPI STATE -- Learning something new or increasing existing skills may seem difficult to fit into a busy schedule, but online courses available through the Mississippi State University Extension Service make continuing education convenient. Instruction in MIG, TIG, stick, and gas welding is being offered at the Winston-Louisville Career and Technical Center. Class will begin on Tuesday, January 21, 2014 and will be held on Tuesdays AND Thursdays from 3:00 p.m. to 7:00 p.m. for six consecutive weeks. 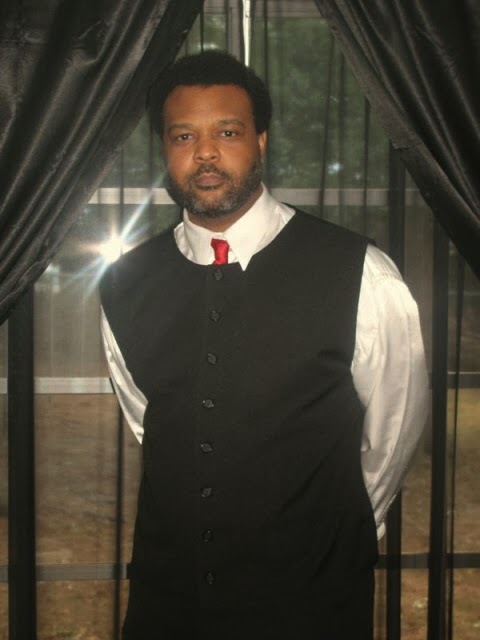 Shane McDaniel will serve as instructor. Cost of the class is $150. To pre-register and for more information, contact Brenda Vanlandingham at the Center, Phone 662-773-6152; or Candy Anderson, ECCC Career Advancement Center Coordinator, Phone 662-773-2292; email canderson@eccc.edu. The Pilot Club of Louisville will be sponsoring their annual Winston County Pageant for girls ages 4-18, and for boys ages 4-7. The pageant will be held Saturday, February 22, 2014 at 6:00 p.m. at the Louisville High School Auditorium. The theme for this year is Pilot Sweet Hearts. The entry fee is $20.00. The deadline for registration is January 17th. Applications may be picked up at the Winston County Library, Renasant Bank, Bancorp South Main Street location, and the schools. For more information on registration, please contact Sherry Suttle at 773-2402, Sheila McMillan at 773-2407, Daphne Partridge at 803-1500, or Sharon Kennedy at 803-0742. Good Luck ads are being sold to be put in the pageant program book. “Certified Nurse Aide” instruction is being offered at East Central Community College’s Career Advancement Center located at 921 South Church Street in Louisville. Registration will be held from January 6 to January 16, 2014; Monday throughThursday from 8:00 a.m. to 4:00 p.m. Classes will begin on Tuesday, January 21, 2014. Classes will be held each Tuesday and Thursday from 4:00 p.m. to 8:00 p.m. with clinical date and time to be announced. The classes will run for eight consecutive weeks. The cost of the class is $766.00. For more information, contact Candy Anderson, Louisville Site Coordinator, phone 662-773-2292; email,canderson@eccc.edu. Jackson, Mississippi (January 9, 2014)- Public Service Commissioner Brandon Presley announced today an extension through 2014, and in some instances beyond 2014, of utility rate incentives aimed at Mississippi small businesses. To date, the incentives have helped over 1,100 Mississippi "mom and pop" businesses save more than $400,000 in utility costs. The Louisville Animal Shelter is overrun with dogs, puppies and bigger dogs. If you have considered adopting an animal, right now is the time to do so. These are just some of the animals that are available for adoption. If you have any questions come by the shelter located on 110 Thompson Street or call 662-773-4320 for more information. Thank you. Hope ya'll have a great weekend!!! The Partnership/Chamber of Commerce Annual Banquet will be held on March 6, 2014 at 6:00 pm at Lake Tiak-O’Khata. The Chamber of Commerce/Main Street is once again asking you to seriously consider nominations for Man and Woman of the Year and Life Time Achievement Award. President, Lee McCall asked that you please consider nominees for these awards as they are our county’s highest honors. We have Retail Merchants that have gone the extra mile to make their customers shopping experience fun and favorable. Please take a few minutes to consider which one of our retail businesses have been committed to you, their business and to our community, then take a few minutes to write a very brief nomination as to why you think they are worthy of the title of Retailer of the Year. These nominations are due by 4:00 pm, Thursday, January 30, 2013. Winning football teams are a long tradition at Louisville High School. Having won an eighth state title in December has prompted the Louisville Municipal School District to host a special event on Saturday, February 1st to honor and recognize the coaches and players who have been a part of that winning tradition over four decades. 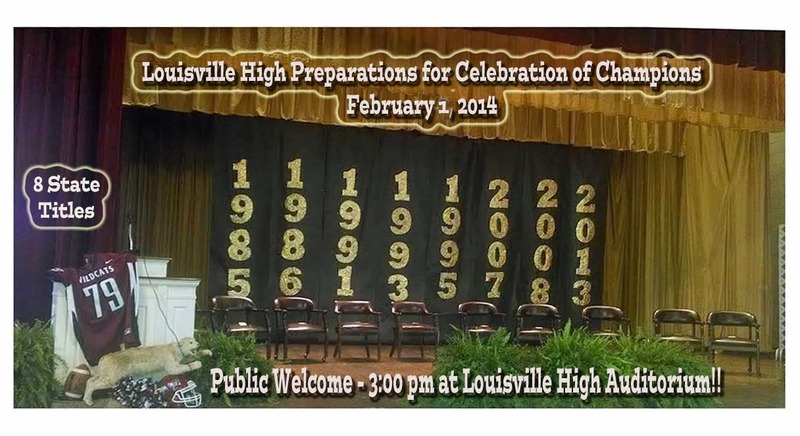 The public is invited to attend the "Celebration of Champions" at the Louisville High School Auditorium at 3:00 pm. 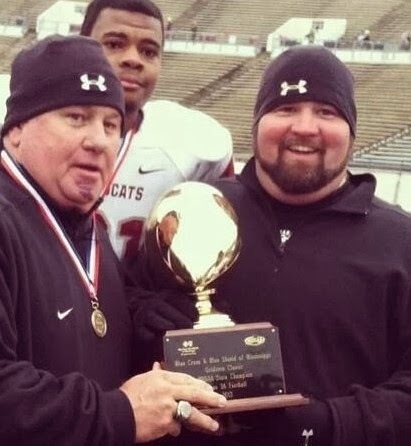 Robby Donoho of WCBI Sports will serve as the Master of Ceremonies for the event with a bevy of facts and interesting stories about the Wildcat program throughout the years. There will be a slideshow of photos and the public will hear from former head coaches. Louisville has won state titles in 1985, 1986, 1991, 1993, 1997, 2007, 2008 and 2013. Catfish Plate FundRaiser for Wildcat Championship Rings at Catfish Opry on Friday..
Folks, don't worry about what's for supper on Friday. Just head on down to Noxapater at the Catfish Opry and get a great catfish supper and support a good cause at the same time. Profits from the plates will go toward the purchase of championship rings for our own Louisville Wildcat 3A State Champions. Championship rings are a tradition but they are expensive. By law, the Louisville Municipal School District cannot provide funding to purchase these rings. Wildcat Boosters are working hard to raise the funds and they still have a long way to go. The Catfish Opry has been kind enough to support the cause. Serving starts at 5:00 pm and plates are $11:00 for eat in or carry out. You can also text your order to 662-803-2817. Noxapater students of the month are recognized on the school's webpage. Students from all grades are included. To view the photos and see the list of students, visit their website by clicking here. 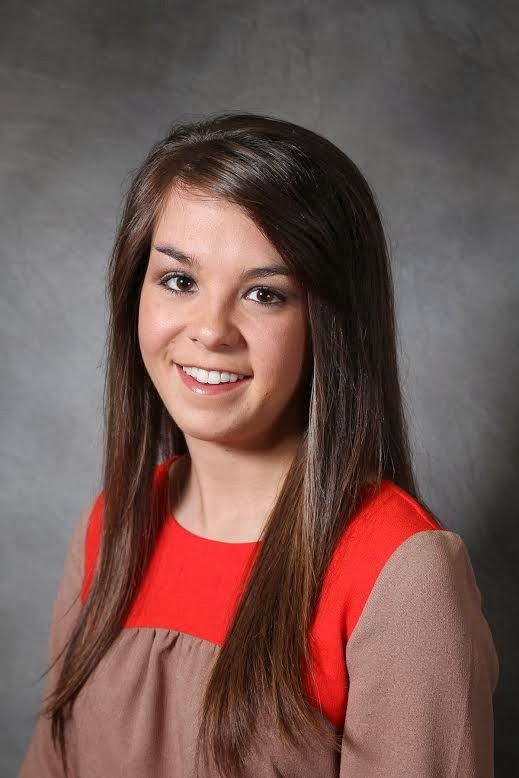 In order to encourage the growth and professional development of students interested in obtaining a degree in the areas of communication, the College Public Relations Association of Mississippi (CPRAM) will award one $500 scholarship to an undergraduate student entering or enrolled in an accredited two-year institution of higher learning; and one $500 scholarship to an undergraduate student entering or enrolled in a four-year institution of higher learning. To be considered for a CPRAM Scholarship, applicants must be in “good standing” and present three letters of recommendation from individuals connected to his/her academic institution. This includes college advisors, high school teacher/official, home-school teacher, etc. Students may be recommended by an active CPRAM member in lieu of, or in conjunction with those listed above. The scholarship covers a one-year period. However, recipients may re-apply annually for the scholarship but the committee reserves the right to make its decision based on need, merit and the number of applicants each year. The CPRAM Scholarship Committee will announce the winner(s) during its annual conference scheduled May 19-20, 2014, at the Bancorp South Center in Tupelo. The scholarship will then be awarded for the fall term. Applicants must be considered full-time students at their respective institutions. No student will be discriminated against based on race, religion, age, gender, or financial situation. The Board approved a school bus turnaround in District 4 per request provided by the school district. The Board approved the mobile home roll for the county. This roll includes only personal property mobile homes that are not affixed to real estate. Tax Assessor Larry Woodward indicates that there are 764 mobile homes in the county with a value of $932,000. Registration for the 2014 spring semester continues at East Central Community College in Decatur. Enrollment for the current spring term is expected to surpass last year’s total of 2,300 students, according to Dr. Randall E. Lee, Vice President for Student Services. Spring classes began Monday, Jan. 6, 2014. Online classes are scheduled to begin Monday, Jan. 13, 2014. The deadline to enroll in online classes is also Friday, Jan. 10. For more information, contact Student Services, 601-635-6205 or call toll free, 877-462-3222, ext. 205. The e-mail address isrlee@eccc.edu. Louisville, Miss. 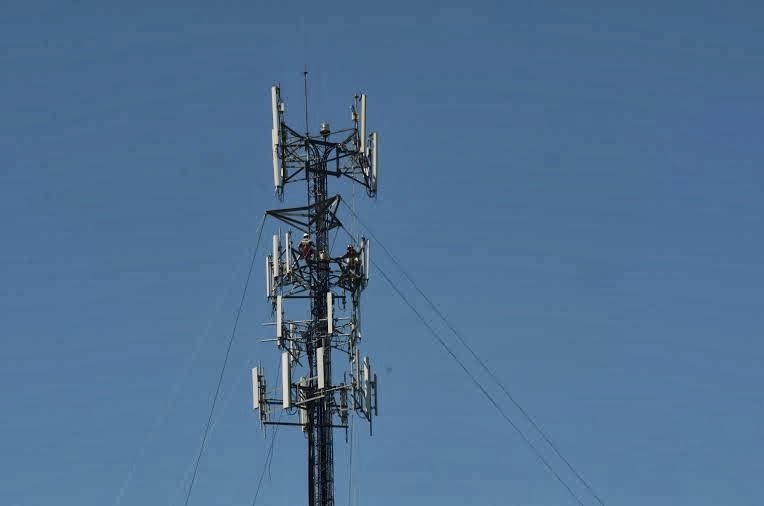 (January 6, 2014) – C Spire Wireless launched the next generation of mobile broadband services in Louisville with the recent activation of its 4G (Fourth Generation) Long Term Evolution (LTE) network offering consumers and businesses faster data speeds and advanced capabilities on the nation’s only customer inspired network. News Release: Two longtime community college rivals will battle on the hardwood to begin competition in the New Year. East Central and East Mississippi squads will meet Tuesday, Jan. 7, in non-division matchups on the Decatur campus. The Winston County Supervisors signed a declaration on Monday making Winston County a Purple Heart Community. The designation recognizes the local recipients of the medal. The Purple Heart medal is a U.S. military decoration awarded in the name of the President to those who have been wounded or killed while serving within the U.S. military. Its origins go back to George Washington. The City of Louisville is also expected to approve a similar declaration in its meeting on Tuesday evening. The Winston County Branch NAACP will celebrate the Dr. Martin Luther King, Jr. holiday on Saturday, January 18, 2014. This year's program will take place at Still Valley M.B. Church at 142 Armstrong Street. At 7:30 pm on Sunday, temperatures continue to drop as the rain moves out of our immediate area. Lows tonight are expected to reach the mid teens with very little warm up tomorrow. Projected highs are only in the low 20's on Monday. The coldest temperatures are projected for Monday nights with estimated lows ranging from 5 to 9 degreees. Tuesday will be slightly warmer with highs in the mid to upper 20's and lows on Tuesday night in the mid teens. A warm up should begin on Wednesday with highs in the 40's. The extended period of time with below freezing temperatures is unusual for our area and folks should take precautions with water lines, pets and livestocks. Be sure to check on the elderly or vulnerable neighbors. At this time there are no reports of any school closings in Winston County. We will keep you posted. If you are aware of any closings in the community or you are responsible for any decisions on closings due to weather, please contact WWN at admin@winstonwebnews.com or message us on Facebook. The Pilot Club of Louisville will be sponsoring their annual pageant for girls ages 4-18 and boys ages 4-7 on Saturday, February 22, 2014 at 6:00 P. M. at the Louisville High School Auditorium. 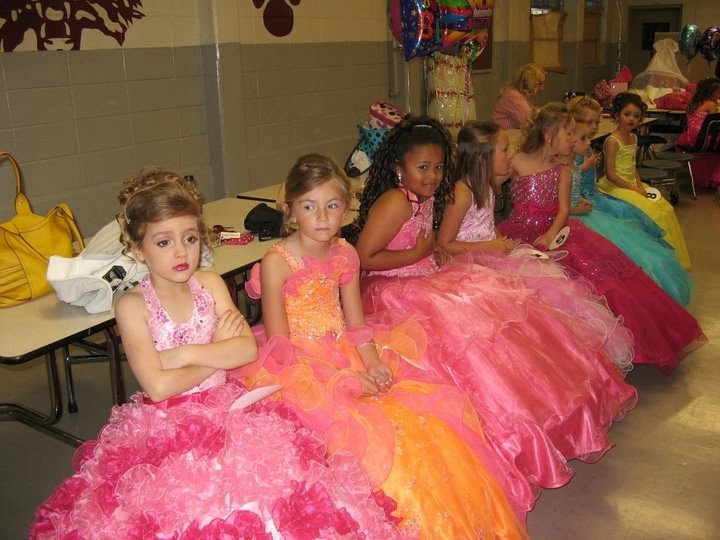 Registration for the pageant this year will be Monday, January 6,2014, at First Baptist Church Fellowship Hall from 3:00 until 5:00 P. M. Applications may be picked up at the Winston County Library. They will also be available at all area schools. Just some quick news briefs this morning: Alabama fans in mourning*** looks like it will be bitter cold on Monday as local students start back to school ***major fire at Salvation Army site in Jackson ***teacher pay again a major topic in Mississippi ***Florida is about to surpass New York in population ***attorneys in California do not like the Mississippi flag ***and the federal government has been so kind as to "allow" school districts to increase lean portions of meat and whole grains on their lunch menus. Have a great day. News Release: “Certified Nurse Aide” instruction is being offered at East Central Community College’s Career Advancement Center located at 921 South Church Street in Louisville. Registration will be held from January 6 to January 16, 2014; Monday throughThursday from 8:00 a.m. to 4:00 p.m. The following is the preliminary agenda for the January 6, 2014 meeting of the Winston County Supervisors. This agenda is subject to change. The Board of Supervisors meet every 1st and 3rd Monday of each month at 9:00am in the Winston County Courthouse. Please call the Tax Assessor’s Office at 662-773-3694 or the Chancery Clerk’s Office at 662-773-3631 for more information. WinstonWebNews will have more info on homestead requirements in the coming week.